As USC(13-11,6-5) hits the road again to play Stanford(12-11,5-6) in Palo Alto, the mission is clear: secure a top four finish in the regular season to earn a bye in the first round of the Pac-12 tournament. With their chances at for an at-large bid virtually nonexistent, USC will need to win the Pac-12 Tournament to be participants in March Madness. As it stands now, the Trojans trail Washington, Arizona State, Oregon State and Utah for one of the coveted top four seeds. Luckily for USC, they’ve already proven that they can beat Stanford this season. 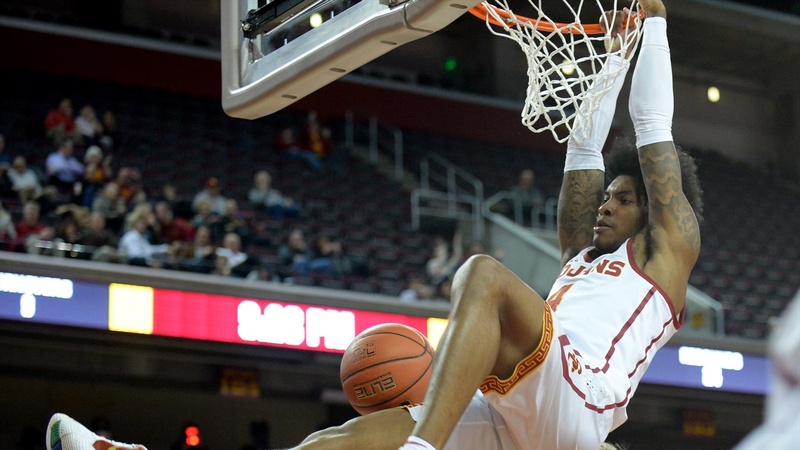 In a January matchup at the Galen Center, the Trojans upended the Cardinal 77-66 and had control throughout. On that day, USC had one of its best performances of the season because they played to their strengths. The frontcourt of Nick Rakocevic and Bennie Boatwright combined for 45 points and 17 rebounds on 62% shooting and as a team they dished out 16 assists. The Trojans are 12-0 in games where they have 16 or more assists. For the 7th place Cardinal, this game will be a chance to rebound after an ugly 46-69 loss on the road to Oregon. Stanford’s offense was putrid in that game as they managed just 27.3% from the field and 16% from 3. In order to beat the favored Trojans, Stanford will need big performances from forward KZ Okpala and point guard Daejon Davis. Okpala struggled in the first matchup, scoring just 12 points, five under his season average, and committed 4 turnovers. Davis, who hit a game-winning buzzer-beater against the Trojans the last time they were in Palo Alto, played fairly well against the Trojans in January, scoring 14 points and dishing out a team-high 9 assists. This game will be televised on ESPNU on Wednesday(2/13) at 8:00.